Now with a sleek, classic chrome finish! 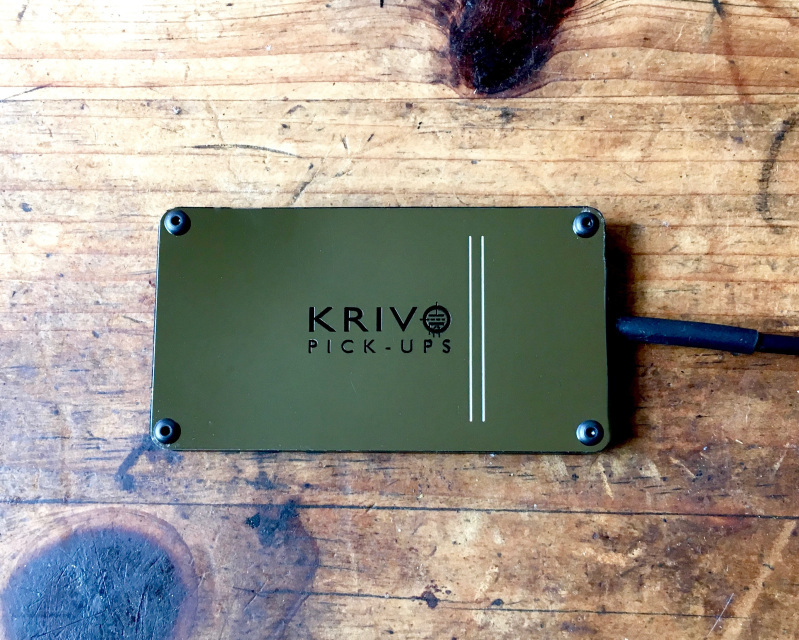 Now with a sleek, classic chrome finish, the Nuevo single-coil pickup is the Krivo pickup which is closest in sound and appearance to the traditional Stimer™ pickup popularized by Django Reinhardt during his late electric period. 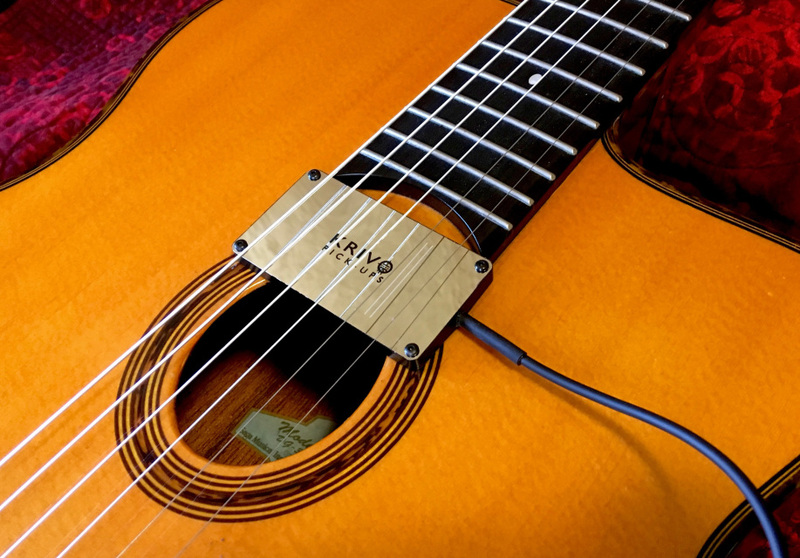 However, this is not merely a "gypsy-jazz" pickup: the Nuevo excels on archtop jazz guitar and resonator guitars (According to Just Jazz Guitar Magazine: "Sonically, the 'Nuevo' has a 'P-90' sound" ). I have optimized magnet position and strength to eliminate the dreaded “hot-b string” problems evinced by the original Stimer-type pickups. Furthermore, the Nuevo ​has a much higher output and lower noise than competing single-coil pickups. Available in a petit bouche model (with black woodgrain finish) which fits perfectly into the fretboard cutaway of oval-hole gypsy jazz guitars for a "seamless" look. Hand wound with vintage Formvar wire (not the cheap polynylon used by many modern makers). Wired with audiophile grade Mogami™cable inside and out. Excellent alternative to traditional “Stimer” type pickups, no “hot ‘b’ string” issues like older brands. Inlaid mother of pearl dot marks position of ‘B’ string for perfect string balance (This pickup has great string balance, specialized for use with Argentine type strings). Very responsive to EQ so a wide range of tonal colors are at your disposal, from bright and transparent to thick and colored. Works equally well with a tube amp or dedicated acoustic amps. Slimmer in profile than traditional models. Innovative “Optimized Microphonics” design senses acoustic vibrations from the soundboard in addition to string vibrations. Mounts with included non-invasive, easily removable, finish friendly putty. No modification to instrument requires , mounts in seconds. Fully shielded for noise minimization. Terminates in a dedicated 1/4″ guitar plug, just plug right in to any amp and you are ready to play! No preamp needed.